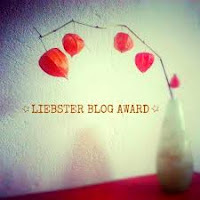 I have been nominated for a Liebster Award by the very kind and talented Lillian Csemica; http://lillian888.wordpress.com/ I am absolutely astounded and thrilled to be nominated for this award. I’m a little giddy. I’m imagining which gown I should wear as I high-step it in my high-heels up the stairs…oh, that’s not what happens for this award…the red carpet and the cheering fans are in my head. Even so, I am elated to be a part of this prestigious group. Thank you. 1. The Liebster is given to bloggers by bloggers who have less that 200 followers. 3. Each blogger should answer the eleven questions that are asked by the person doing the nominating. These are MY nominees - bloggers deserving attention, accolade and admiration for their individual style of art. I appreciate! A) Comedy, Reality TV, or Drama? C) Hilltop or valley bottom? E) Do you have an artistic routine? Ie: do you create an outline or scratch illustration first? F) How long have you been pursuing this artistic venue? G) Is this your first Liebster Award? If not when was the first? H) How many blogging sites do you typically participate with? I) What was the impetus to pursue writing/photography/prose? J) Which artistic venue is your second choice? 1) What do you like best about blogging? I enjoy the liberation of stories from inside of me. They tickle the inside of my ear drums and down my throat like a sneeze, until they are released. I enjoy the community. 2) What’s your happiest memory? Making French Toast for my daughter, the two of us laughing together. 6) Is there anything or anyone you hate? If yes, why? If no, why not? Are damned for taking assistance and damned for trying to better themselves. Watching people. Listening to all of the animals in the world. Breathing in and out. 8) Where is your favorite place in the whole world? On the side of a hill, laying on the tall grass, listening to the world turn, in Kalkakska, Michigan, on sunny day in late June. 9) What’s more important, justice or mercy? Why? Bread to feed his family? Mercy. 10) Name three people, living or dead, you’d like to meet. 11) What is the best thing about being a human being, vs. and animal or an object? Having opposable thumbs and being able to speak. Eleven unknown tidbits about me. As a die-hard liberal, I was twitter-pated to spend time with Steven Forbes and have the picture of him with his arm around me to prove it. Smokey Robinson once sang to me at a party. As much as I love being in the woods, I’m not a romantic. I wouldn't want to be born in any other “time”. I like my microwave, stove, oven, indoor plumbing and running water! I take WAY too many vitamins. From A to Z and all point in between. I support my writing habit by selling real estate. At which, I am VERY good. While I tease my husband about not wanting to go camping in the wilderness, my idea of camping is the Holiday Inn! I don’t care what my car looks like as long as it gets me down the road. I would rather put my money into my home than my ride. I adore my friends. I am a friend even when I’m not wanted. To make me not want to be your friend, hurt my feelings. I am proud that I was/am the Senior Class President. It is my excuse to stay in touch with people, and I love it. I especially like it when they keep in touch with me. Eli Callaway has been a hero to me and I try to emulate this great man. He was a staunch family man, donated millions to various foundations, and expressly invited a hick female from Michigan (me) to join him in the golf industry. My store, GOLF USA, was the first “Off Greens” retail shop to carry Callaway Golf in Michigan. Thank you for choosing my blog for the award..It is my first award on this blog .. Your 11 Unknown Tidbits are fascinating. I don't know what impressed me more, Steven Forbes or Smokey Robinson! Congrats on your award. Wow you have amazing stories to share and calling them tidbits ... so not fair. I want to thank you for nominating my blog and I had fun answering your questions. Thank you for the nomination! You made my day!